The British junior men’s team of Pavel Karnejenko (Notts), Jamie Lewis (Woking), Adam Tobin (Falcons), Jake Jarman (Huntingdon) and Donell Osbourne (City of Birmingham) have taken silver at the 2018 Junior European Championships in Glasgow, narrowly missing out on gold to Russia. Jamie Lewis also produced a brilliant all-around performance to take silver, being knocked off top spot with the last routine of the day by Nicola Mozzato of Italy. Pavel Karnejenko also impressed for the GB team in front of his home crowd to finish in all-around fifth. With four gymnasts competing on each apparatus and the top three of those scores counting, the team started on floor with four clean routines. Jamie (13.733) and Pavel (13.500) both impressed, qualifying for Sunday’s apparatus final in first and sixth respectively. Moving on to pommel horse, Jamie was again in inspired form, showcasing all of his skill on that apparatus to score 13.833 to qualify in top spot. Jamie scored 13.533 on rings to finish in fourth and will be in three finals on Sunday. On vault it was Jake (14.233) who produced two impressive vaults including a triple Tsukahara to qualify for the final in second place. Donell (13.966) finished sixth and will join Jake in the final. 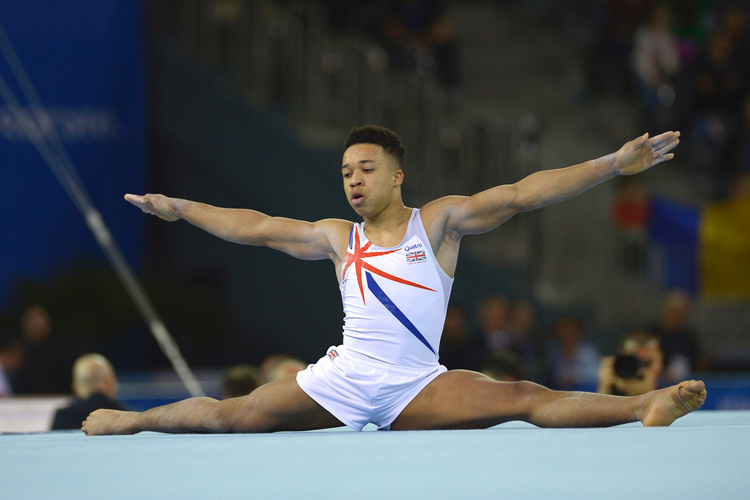 The team’s penultimate apparatus was parallel bars and again it was Jake who top scored for the team with 13.466 to qualify for the final in fourth. Unfortunately, on the final apparatus, high bar, the team had to count two falls, but Donell Osbourne scored 12.800 to qualify for Sunday’s final in eighth place. Jamie Lewis said after: "I am really pleased with the results today. We’ve had our ups and downs but we did what we could and we have still come away silver medallists. We’ve been training together for many years and I couldn’t ask for better teammates. Personally I am now turning into a senior level gymnast so I need use this experience to get back into the gym and work hard on upgrading my skills. It will be tough but I am looking forward to the challenge." Competition at the 2018 European Championships in Glasgow continues tomorrow with the senior men’s team final from 1pm. Keep an eye on our channels for updates and the BBC for coverage. To catch up on all of today’s routines, head to our dedicated event page.